I’m very excited that Roof Beam Reader is hosting the TBR Pile Reading Challenge again – for the 5th year! I’ve started the last two years, but failed both, so I’m hoping to do better this year! The challenge is, as it suggests to read books from your TBR Pile. I can’t even count how many are on my list, and book shelf. We’re thinking about moving in a couple of months, so last weekend, I took a box – big box – of books to our storage unit to get them out the flat. And I’ve still got 4 shelves fully – with two rows per shelf. So there’s loads. This year though, I decided to take books, partly off my shelf, but mainly from the list I’ve written over the last few years. Every time I see a book I want to read, in a magazine, shop, on TV, a friend recommends, or wherever, I write it on this list. It’s quite long. And the extras, in case I can’t get through one or two. As I said, I didn’t complete 2012 and 2013, so as the saying goes, I want to make the third time lucky! See Roof Beam Reader’s sign up for the challenge here. – My monthly Book Group meeting to discuss our latest book – For One More Day by Mitch Albom. = Pandemonium by Lauren Oliver (The final book in the Delirium trilogy came out on Tuesday I think, so should read the second before I get the 3rd, plus, I’m going to see her at Waterstones on 25th so would be good to have them all read by then). = The Liar’s Lullaby by Meg Gardiner (on my list as well for TBR Pile Challenge, and I really want to read it!). I guess that’s all I’ll be doing. Happy World Book Day all. Here’s my second reading challenge for 2013. I failed this last year, and you know how I hate to fail. This year, I’m determined to complete it. For this challenge you have to read 12 novels in 2013 from your TBR Pile (physical pile, or just on your list). The great thing is that they have to have been on your list for more than a year (so have a published date of 2011 or before). You also have to list the books NOW that you’re going to read (plus you can have 2 alternatives, if you really can’t get through any). Last year I went through my shelf and chose books that I physically had. This year, I want to add books that I’ve been meaning to read, I just haven’t bought yet (or borrowed from the library of course). I didn’t read 4 of the 14 last year (including the alternatives). I’m not going to add all of them back on – 1 I realised was a sequel, and I’ve not read the first, and the other I’m not really interested in any more. I’ll add the other two though. Catching Fire (The Hunger Games trilogy, book 2) by Suzanne Collins. To be honest, I really want to read all of them, so you never know. I’m also doing the Mystery/Crime Reading Challenge, so a couple of these will work for both, which will be good. Now, I really want to start on the list. My problem is… which first. Good luck to everyone else doing this challenge this year. I can’t wait to see what you’re reading. I have been alive for 5 years. 5 years is a very long time for someone like me to be alive. MAX gave me my name. Max is 8 years old. He is the only human person who can see me. I know what Max knows, and some things he doesn’t. I know that Max is in danger. And I know that I am the only one who can save him. I was instantly attracted to the cover, and the title of this, which is odd, because I’d say as a rule I like the novels I read to be fully based in reality (mainly chick lit, thrillers). Having said that, I read and loved Cecelia Ahearn’s If You Could See Me Now, which was also about an imaginary friend, so maybe that’s why. I really enjoyed this. Once I started it, I just couldn’t put it down. Budo is such an awesome character, I got really into it and the story, and the lives of the characters. I know the blurb about the book said that Max was in danger, but I didn’t really think it would turn into a Mystery and Suspense Challenge novel, but it did, and that kept me gripped. I was literally sat there reading it willing the right thing to happen (I don’t want to give away anything, so sorry, but that has to be vague). At the end of the day, it’s not a John Grisham/Meg Gardiner type thriller, but there’s a mystery there. This happens every year since I started doing NaNo (3 years ago). I’ll write ferociously for the 30 days, I’ll get the 50,000 words done, and then a couple of weeks later I’ll stop writing. I’ll try to motivate myself and I will, but only in dribs and drabs. Eventually, in the summer I’ll start writing properly, then in October I’ll realise NaNo is just a month away and I’ll increase what I’m writing. Every year that happens. It was slightly different after this NaNo, in that I carried on writing in December, and January. At least I’m getting better. We’re now halfway through March (if anyone knows how that’s possible, please let me know), and less than 2 weeks away from the end of this ROW80 round, and I’ve pretty much done nothing for 6 weeks. I have my excuses, but they are just that – excuses. Yes, I’ve started a new job that’s taking up a lot more time, and brain power than the old one, so I am exhausted, but the same happened last year. And the one before. It seems I can’t write without a deadline – and a self-imposed one isn’t good enough. Even having a ROW80 goal doesn’t seem to push me, maybe because I’m not losing if I I fail, I’m just a failer! I said this before and a couple of people questioned why MY goals weren’t important enough to push me. I don’t know. I just don’t. my boyfriend’s being really good at the moment – he keeps trying to make me write (well, keeps mentioning I should be), but I always seem to come up with some reason not to. Just after my last post, I decided I was going to take some time off my novel, and just do random writing. That worked – on that day. I read something in my writing course that said it’s good to write short stories while you’re writing your novel – it helps you feel like you’re achieving something (by writing THE END – something you’re not going to do on the novel for a while). It’s a good idea, but I didn’t stick to it. I’ve just remembered that Novelicious are running a novel competition. The deadline is 3rd April, so that’s something for me to aim for – an actual goal. I need to edit the first 3000 words of the novel. Fine. Maybe everything else will come back after I do that! Like I said in the title, I’m really enjoying reading at the moment. I’m reading Before I Fall Asleep by SJ Watson for my Book Club. I’m totally loving it. I seem to really love novels that have ‘before’ in the title – Before I Fall (Lauren Oliver) and Me Before You (Jojo Moyes) were both really really good books. 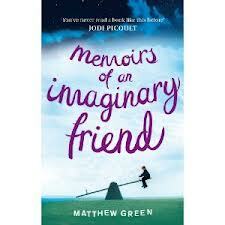 I also seem to be really interested in memory in novels – The Memory Collector (Meg Gardiner) was brilliant, and also in films – Memento (I guess 50 First Dates too, but I’m talking more serious stuff). I’ve really enjoyed everything listed above. No idea why, seems to be something I’m in to! My other goals are eating well, and exercising. Exercising isn’t going TOO badly. I’m walking to and from the tube to work – that’s 40 minutes walking a day! Today I’ve got my gym kit, so hopefully I’ll go there after work! This week I’ve started Slimming World again. So far days 1 and 2 have been a joke, but day 3 seems to be going well. I’d like to make it the first of going brilliantly! I hope everyone else is doing better with their goals than me!